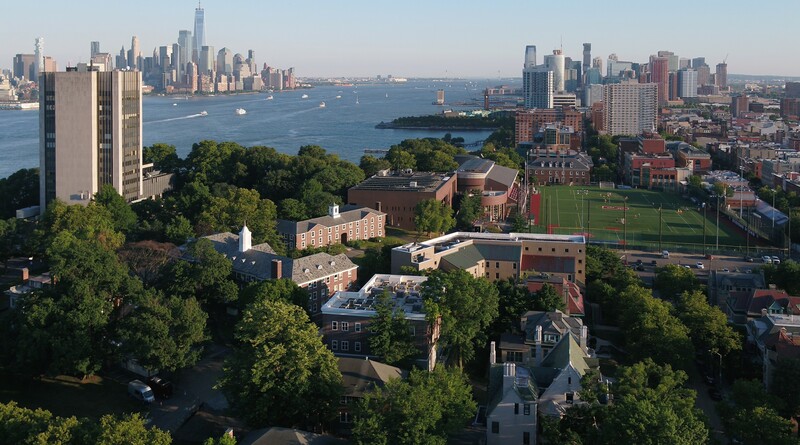 The School of Business at Stevens offers eight graduate degree programs, including its MBA, fully online. Graduates are taught to apply analytical techniques and leverage new technologies in solving complex problems and exploiting new opportunities. Brian Rothschild is the Director of Management Programs at the graduate level. He recently updated the Online MBA Report Interview on Steven's unique online MBA, at the recently ranked #18 of all private schools in the US, by Online MBA Report. The MBA program at Stevens emphasizes the potential, but also the limitations, of technology, with students learning how to interpret information and use it to make the best decisions for the enterprise. The engineering element in Stevens' DNA is felt through applied exercises that prepare managers who are comfortable rolling up their sleeves and putting theory into practice — whether in the classroom or in the boardroom. Coursework emphasizes collaboration through group projects and presentations, and develops creative, critical thinkers through the incorporation of the latest faculty research in management, analytics, innovation and marketing. Whether you want to pursue your degree full or part time, Stevens has the tools and expertise to ensure you get an immersive experience in leadership and business training. The online platform allows students to take part in live lectures or download program content at times and places that work best for them. Stevens prepares leaders who can think differently about potential opportunities and solve complex problems through an understanding of applied business theory and practical technology training. Graduates complete their MBA degrees prepared to become transformational leaders able to drive change on a global scale. And they understand the application of technology to business, and know how to develop data-driven solutions to complex problems to create opportunities for the enterprise. That's what sets a Stevens MBA apart. Please speak with our program director to learn more about why you should turn to Stevens to get you onto the management track. The Business Intelligence & Analytics Master's Degree program provides the analytical and professional skills necessary to take advantage of this data, to move organizations from the traditional mode of intuition-based decision-making to fact-based decision-making. The curriculum covers the concepts and tools at the forefront of the Big Data revolution: database management, data warehousing, data and text mining, social network analytics, optimization, risk analytics, and technologies such as Hadoop and data stream analytics. Upon earning their degrees, students will have completed a capstone course requiring them to work on a major project, using real data, under the guidance of an industry mentor. Coursework also emphasizes training in traditional business skills, such as oral and written communication skills, analytical thinking, and ethical reasoning. Learn more about the business intelligence analytics program. The 30-credit Enterprise Project Management master's degree blends courses in strategic perspectives, project planning, project portfolio management, and cross-project leadership for an applied curriculum that teaches you to manage and serve as a leader at an enterprise level. Learn how to excel in an environment where project-related decisions have long-term consequences for the project’s stakeholders. Develop project leadership skills to collaborate and influence constructively, build commitment effectively, and demonstrate support decisively in a global and multi-functional workplace. This program goes beyond traditional tools & tactics and is based on the premise that finishing projects on time and within budget is no longer sufficient to meet new organizational challenges. Learn more about the enterprise project management program. The Master of Science in Financial Analytics focuses on advanced development in financial analytics covering from fundamental data processing to machine learning, statistical modeling, and optimization. Targeting on broader financial services and financial technology industry, program graduates are expected to be able to handle complex financial data, build advanced analytical models, deliver effective visualization product, and utilize cloud-based data-driven analytics technology. Learn more about the financial analytics program. Financial engineering deals with the vast complexity of financial markets. This program expands your mathematical capabilities to uncover their patterns and the computer skills to exploit them. To achieve success, banking and securities industries must come to grips with securities valuation, risk management, portfolio structuring, and regulation-knowledge embracing applied mathematics, computational techniques, statistical analysis, and economic theory. Learn how to make pricing, hedging, trading, and portfolio-management decisions. Learn more about the financial engineering program. Information Systems play an integral role in organizations, enabling business transactions including Customer Relationship Management and Supply Chain Management. They provide crucial decision-making information for managers and enable new types of business models and organization structures. Today’s information-intensive, complex business environment demands professionals who have both applied IT experience and management insight. The Information Systems program prepares graduates to lead and manage organizational efforts and respond to managerial changes and opportunities. This flexible program prepares IT leaders and managers with technical, business, management, industry, and interpersonal skills. Learn how to determine the Information Systems needs of organizations, assess emerging technology trends, and manage the interaction between business and technology. The master's program includes a choice of three-course concentrations tailored to the career demands of students interested in managing various aspects of information systems. This concentration offers a deeper dive into Big Data and its applications in business. Note: With advisor permission, students may add other classes. Learn more about the information systems program. The Stevens master's degree in Management enables students with limited business exposure to advance their careers with practical instruction in leadership, innovation, economics and strategy. Engineering and Information Technology professionals who are fluent in business practices are able to better shape and define the roles they will play in industry. The interdisciplinary curriculum and emphasis on collaboration gives graduates the critical skills needed to solve problems and drive change on a global scale. Employers see graduates of the Management program as ideal job candidates who need little training, as their education prepares them to hit the ground running. *The eight-course core is supplemented by two electives from the project management, analytics, information systems, or leadership tracks. Program Director: Brian RothschildLearn more about the management program. The network & communication management & services program was created to train managers in the telecommunications industry to think about the future of networks and services, and to prepare them to take on leadership roles in the telecom industry or in the communications departments of large companies. The telecommunications industry is undergoing rapid change as technology innovations alter how companies operate. Companies are looking to leverage their networks to provide new services and applications to their customers. Graduates will gain a broader perspective on the network — to see it as a tool, rather than a collection of routers or wireless access points, that can be used to help customers solve their business problems. Learn more about the network & communication management & services program. Recent years have seen unprecedented change in financial systems technology. Algorithmic trading has become a dominant component of trade volumes on exchanges. The implementation of software and automatic decision support systems in dynamic markets has become part of the skills needed to succeed in the domain of algorithmic finance. This four-course certificate is designed to provide financial engineers with the necessary understanding of architecting and implementing financial trading systems. The graduate certificate in business intelligence & analytics is designed for practitioners who wish to increase their understanding of specific areas of data, web and social analytics, as well as their ability to manage data-intensive applications in industry. Learn how to apply analytical techniques to derive insights and predictive intelligence from vast quantities of data from a variety of sources, including corporate transactions, hand-held devices, and social media. This certificate also prepares managers to understand how the data mined by analysts and scientists can be applied to improve organizational strategy and decision-making. All courses in the BIA Graduate Certificate program can be applied to the BIA master's degree. Business Process Management (BPM) addresses the analysis, design, implementation, and improvement of enterprise processes. It combines mature organizational concepts (BPR, Six Sigma, TQM) and process-supporting technologies such as workflow management, BPM Suites and service-enabled systems. The certificate courses cover topics relevant to business representatives involved in process analysis projects, IT staff involved in process automation efforts, and executives involved in strategic process improvement initiatives. The program is also suitable for IT organizations with BPM tool offerings and provides business-level education for sales-force personnel, technical staff, and consultants. The components of financial problem solving are embedded in the methods of applied mathematics, computational techniques, statistical analysis and economic theory. In a financial engineering program, those components are directed towards solving problems in securities valuation, risk management, portfolio structuring and regulatory concerns with emphasis on tools and training in stochastic modeling, optimization, and simulation techniques. The science and technology of creating data-driven decision-making analytics for the financial services industry. Data-driven insights and analytics increase the effectiveness of business operations, enhance customer relationships, improve product offerings and improve risk analysis and risk management. The Harvard Business Review refers to data science and analytics as the “sexiest job in the twenty-first century." Intended to meet the growing global need for professionals with expertise in data analytics, the FSA certificate will empower students with an array of statistical learning methods and database skills in order to create end-to-end business decision making data analytic tools from an enterprise level systems approach. The introduction of new and ever-faster technologies into the finance industry means the ability to draw conclusions and set strategies based on the data is of utmost importance to professionals in this space. Proper statistical analysis, made possible through new and evolving technology tools, helps managers assess markets and engineer new products to create new competitive advantages in finance. Through a curriculum exploring key topics in today's financial industry, such as securities and derivatives, students gain valuable insight on technology-driven opportunities in finance and learn to solve problems through advanced data analysis techniques and statistical experiments. Students who complete this certificate will be fully prepared to apply classroom lessons to real-world problems and opportunities in industry. Broadband communications is the foundation for the new wave of communications and network infrastructure and the basis for emerging services. Technical and business professionals are increasingly called upon to understand, plan and manage complex technological environments. Advances in multiple methods of providing broadband access, such as cable, xDSL, FTTx, and wireless, the introduction of a converged core network architecture and the role of the IP Multimedia Subsystem (IMS), and the emergence of new IP-based services, present tremendous opportunities and challenges. This four course concentration consists of courses which examine broadband technologies and services, service management in a broadband environment, the impact of the changing regulatory environment on the industry and the industry structure and strategy. *Students choose one additional course with permission of their advisor. Responding to the accelerated worldwide demand for reliable and robust wireless communications, this four-course graduate certificate offers you a rich panorama of principles, architectures, and standards. Courses focus on significant opportunities and obstacles facing today’s rapidly expanding mobile enterprises, not only in the US, but also around the world. You are introduced to the global regulatory environment and critical managerial decisions. You become familiar with key technology concepts, CDMA and OFDMA systems, radio resource management, services and applications, and next-generation standards. Emerge as a skilled wireless communication manager who appreciates performance requirements coupled with the delivery of top quality service. Big data’s ability to understand customer needs is changing the way products and services are being marketed. The Marketing Analytics concentration provides you with an understanding of the tools and techniques that can help you interpret customer review and capitalize on social media interactions to create, plan and support effective marketing campaigns in any business. The NCMS graduate certificate will provide advanced technical knowledge of applied telecommunications integrated with solid grounding in business management techniques. The program will benefit individuals with an interest in a variety of areas within the telecommunications industry including network planning and evaluation, information management, technology management, marketing and project management. All courses taken as a part of this graduate certificate can be applied towards a Master of Science in Network & Communication Management & Services after successful completion of eight additional graduate courses. This concentration explores how predictive and prescriptive analytics can help organizations make sense of large-scale logistics problems. The curriculum will prepare you to analyze and interpret data and design actionable strategies to manage production and service operations through advanced business intelligence and analytical tools. The Project Management graduate certificate program includes both the theory and practice of project management. Concepts, project management tools, metrics for project success, planning issues, risk management, human resources, organizational performance, and managing complex programs are presented. All courses taken as part of this graduate certificate can be applied towards a Master of Science in Enterprise Project Management.